What Are Double Mouth Guards? 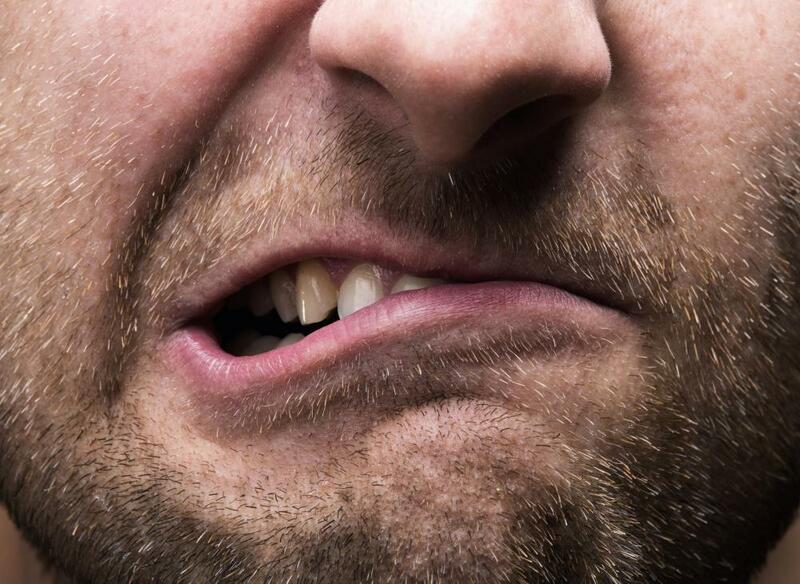 Dental mouth guards may help prevent teeth grinding. A person who wears braces may have to purchase a special braces mouth guard, or have one custom-made to fit properly. The most common reason people use mouth guards is to prevent teeth grinding, or bruxism. Mouth guards are curved strips of plastic that are worn over the teeth to keep them from touching. They can be custom-made by a dentist, or they can be purchased in a store. Double mouth guards are designed to cover both upper and lower teeth. A single mouth guard, often designed to cover just the upper teeth, is usually worn at night, while double mouth guards are typically worn to protect the teeth during sports. People who grind their teeth at night will often wear a mouth guard that fits over their top teeth. This can be custom-made to be small and unobtrusive, and may only fit onto a few teeth in order to keep the upper and lower jaw separated. Less expensive models can also be purchased in stores. Single and double mouth guards purchased this way are usually boiled to soften them, then bitten to create a sort of custom impression of the wearer's teeth. Night guards are designed primarily to stop grinding, so the guards are thicker between the teeth than in front of them. Grinding can cause serious dental damage, such as chipped or broken teeth. It can also wear away the enamel and lead to sensitivity, pain and tooth decay. The point of night guards is only to keep the surfaces of the teeth from touching, so double mouth guards are not generally necessary or recommended for sleeping. Activities such as boxing, football, martial arts and other contact sports pose a risk to all of the teeth. Double mouth guards keep the teeth from touching, but they also cover the fronts and sides of the teeth. A hard blow to the mouth could still do damage, but it is less likely if a double mouth guard is used. Guards of this type are thicker in the fronts and sides to cushion teeth and prevent cuts to the inside of the mouth. This extra thickness takes up more room and may prove to be too uncomfortable for some people. Double mouth guards have a channel on the top and bottom for both upper and lower teeth. They typically have a hole, slit or cut-out of some sort in the front to allow for better breathing as well. Guards of this type are most often worn during physical activities when people are breathing harder than normal. Some people choose to wear a single mouth guard to protect only the top teeth so they do not feel as if their airflow is blocked by the guard. People who need to wear double mouth guards may need some time to get used to the slightly restricted airflow. One strategy is to do strenuous exercise while wearing the guard. Jogging, aerobics or other exercises that speed up breathing can help the wearer get used to wearing the mouth guard so it is less bothersome during their chosen sport. 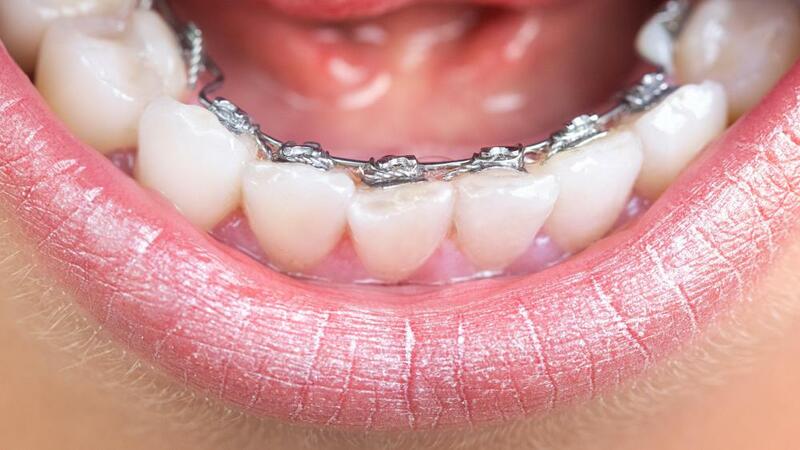 A person who wears braces may have to purchase a special braces mouth guard, or have one custom-made to fit properly. What Are Custom Mouth Guards? What Are the Pros and Cons of Mouth Guards for Teeth Grinding? What Is a Gum Shield? What is a Night Mouth Guard?